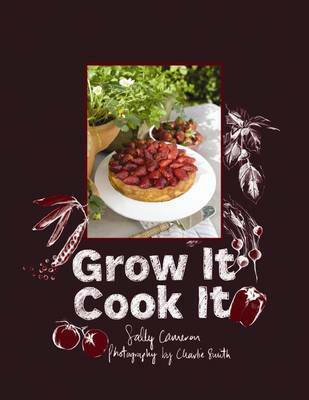 Grow It, Cook It is the must-have book for everyone who loves the idea of growing fruit and vegetables from their own garden and turning them into healthy and delicious meals for themselves and their families. Packed full of recipes, Grow It, Cook It is an inspiring book for those with little time and space for a garden, as well as those who already love growing their own produce, but need a little inspiration with what to do with the abundance! Grow it, Cook it includes information on what to do when your garden produces more than you immediately need - how to freeze, bottle and preserve. The book also includes a section called 'Child's Play' - fun ideas to get kids involved developing the edible garden so they have an understanding of where food comes from (not just the supermarket!) and how to be self-sufficient, even in a small way. Sally's evocative text and mouth-watering recipes are complemented by Charlie's beautiful photographs.